Body clocks jumping all over the place, combined with insufficient sleep on the plane, helped us to decide where to have our first dinner in Patong – at the hotel’s Tantawan Restaurant. Having already had a couple of welcoming Bourbons in our room, we elected to choose mocktails to accompany our meal. Unusual I know, but sensible on this occasion. 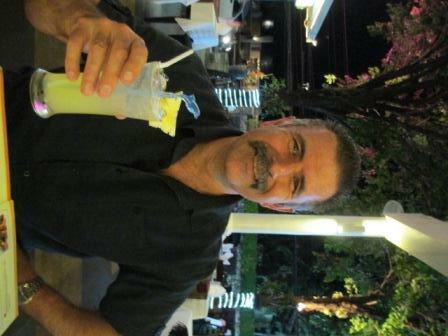 Dutchy chose the Sea Breeze, consisting of pineapple juice, lime juice, all topped off with Sprite. My choice was the Sawasdee Kha (which means “hello” in Thai, when spoken by a female). With pineapple juice, orange juice, lime juice and Grenadine syrup, it was most refreshing. Since I had been saying for days I wanted my initial dinner here to be Thai Green Chicken Curry, or Gaeng-Kiew Wan Gai, that is exactly what I chose. 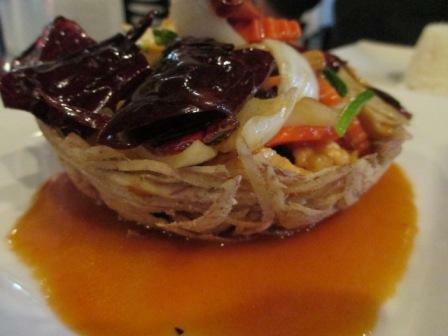 Dutchy opted for the Gai Phad-Med, which was stir-fried chicken with cashews, with extra chilli. A bowl of steamed jasmine rice (Khao Suoy) completed each meal, both of which were delicious. With two bottles of water, the entire bill for dinner and drinks was 850 THB (Thai Baht), or under AUD$29.00 which was not cheap by Thai standards, but for people just off the plane from Melbourne, very reasonable. 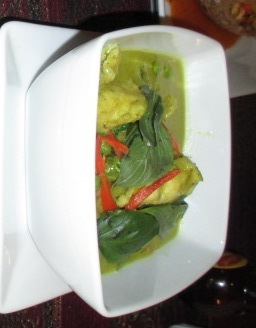 This entry was posted in Food, Thailand and tagged food, mocktails, Patong, Thai green chicken curry, Thailand, Thara Patong. Bookmark the permalink. 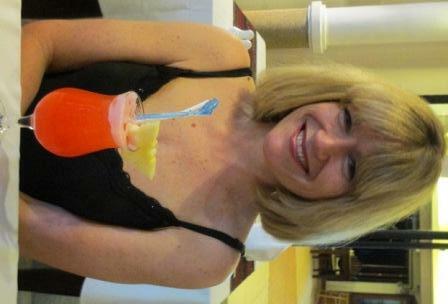 I loved the fruit juice concoctions in Asia! Guava juice is quite interesting, and a beautiful colour.